Nominated by William McKinley on January 5, 1898, to a seat vacated by Thomas L. Nelson. Confirmed by the Senate on January 10, 1898, and received commission on January 10, 1898. Service terminated on April 15, 1905, due to appointment to another judicial position. Nominated by Theodore Roosevelt on February 15, 1905, to a new seat authorized by 33 Stat. 611. Confirmed by the Senate on February 23, 1905, and received commission on February 23, 1905. Service terminated on March 6, 1911, due to death. 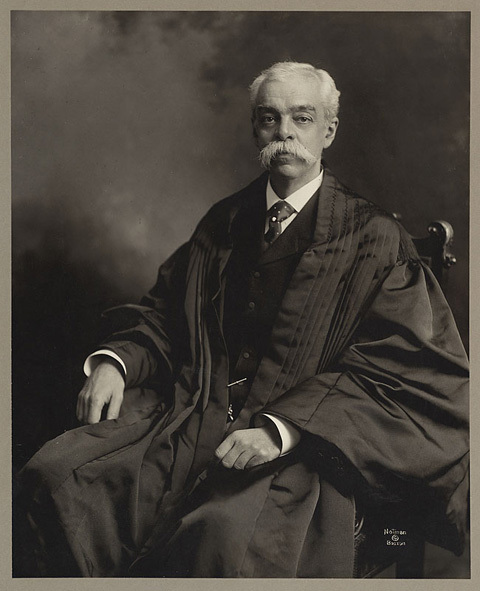 Francis Cabot Lowell; by William Notman; Photograph; n.d.; Legal Portrait Collection, Harvard Law School Library, Cambridge, Mass., record identifier: olvwork203548. Reference image courtesy of Historical & Special Collections, Harvard Law School Library. Further reproduction prohibited without permission of the library. Francis Cabot Lowell (1856-1911); by Marcel Imbs; Oil on canvas; n.d.; Gift of Elizabeth Shurcliff Lowell in memory of her husband Dr. Francis Cabot Lowell IV, Class of 1932, M.D. 1936, Harvard University Portrait Collection, Cambridge, Mass., item identifier: H683 / record identifier: HUAM305090.